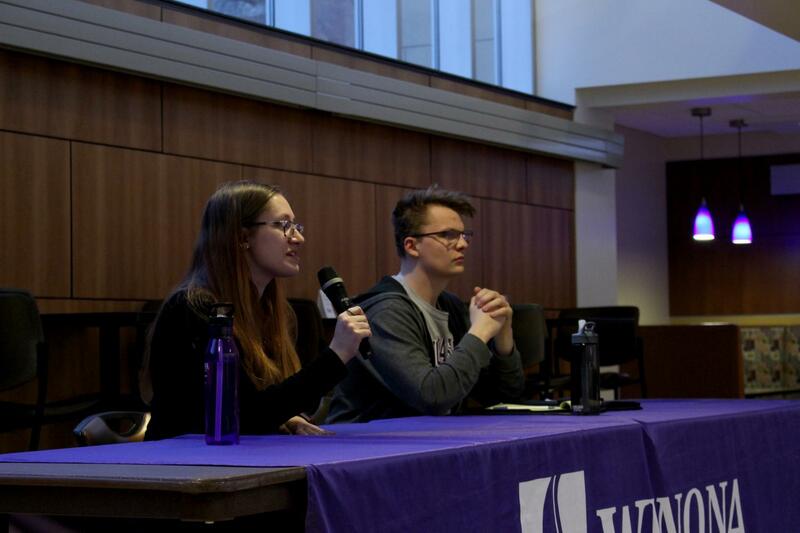 Candidates for Student Senate treasurer, Clara Kuerschner and Jake Hansen answer questions at the Senate Forum on Thursday, April 4. Students were given the chance to vote for candidates April 8-11. April 8-11 Winona State University students had the opportunity to vote on various candidates for Student Senate. Students also had the opportunity to vote for the new Student Senate executive board. There are currently two teams running for the executive board of Student Senate. Both teams consist of a president, vice president, and treasurer. The first team includes Ben Ellgen running for president and Lizzie Casey for vice president. Ellgen and Casey are campaigning with Clara Kuerschner, who is running for Senate treasurer. The other team consists of Nicole Ruhland running for president and Sophie Davitt for vice president. The two are campaigning with Jake Hansen running for Senate treasurer. The campaigning process has kept both teams busy, but the process itself depends on the candidate. Ruhland, Davitt and Hansen have a similar campaigning process. “We’ve been talking to different groups on campus, and getting a lot of different opinions. We want to get feedback from students on what they want to see more of,” Davitt said. Each group said they have different goals in mind to improve senate, as well as the university. Ruhland said her team wants to start with improving Senate. “I think we would like to start with improving senate as a whole. We want to improve leadership within Senate and have specific leadership goals within the group,” Ruhland said. Ruhland said her team would like Student Senate to improve communication and goal setting. Instead of leaders setting goals, she said she would like to see senators bringing personal goals they would like to accomplish to meetings. Ellgen said he and his team plan to better represent Winona State students. Vice president of Student Senate is traditionally more of an internal role, dealing with things including the constitution and issuing disciplinary action. Casey said she would like to see a bit more outreach into the community from the Senate. If elected, Davitt said she would use her role as vice president to assist Ruhland, as well as represent smaller groups on campus. “One of my main goals is to help [Ruhland] keep her sanity and stay organized. I also want to bring unity to Senate. I also would like to see more students attending club events around campus,” Davitt said. 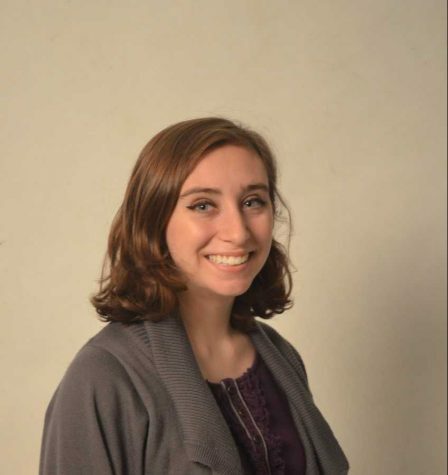 Davitt is not currently a member of Student Senate, but said she believes her outsider perspective will be useful to help her assist other organizations. If elected treasurer, Kuerschner said she would like to make requesting funds more accessible and understandable for the treasurers of other clubs. To do this, she said she would like to implement more treasurer workshops. Hansen, if elected, said he would strive for transparency. The candidates all shared their goals at the Senate Forum, which took place Thursday, April 4. Students were able to come and ask questions, as well as watch the livestream of the forum and ask questions online. Voting for Student Senate closes April 11 at 5 p.m.